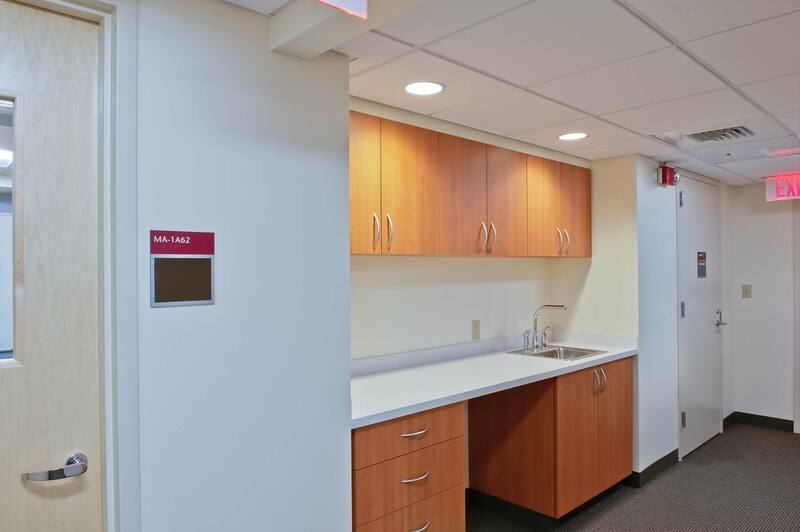 Dana-Farber Cancer Institute hired Wise Construction rto enovate approximately 8,500 SF of existing office, banking and clinical space to become home for their Human Resource and Occupational Health Service departments. The project site was split evenly on the same floor between to co-joined buildings on the DFCI campus. The fast-track schedule was a key element of this project as the HR Department needed to in their new space before their off-campus lease was up. A new exterior entrance was included as were upgrades to MEP/FP systems in most spaces. Long-lead items were expedited at project kick-off and fast tracked demolition of the banking space to stay on track with the short construction schedule.